Georgia Fulton in Literature on 17 February, 2018. Dickinson’s unsettling, macabre style is particularly vivid in this poem, where she presents death in a descendental fashion, detailing the sensory shut down of a body in a bathetic, quotidien way. Naturally this opposes the comforting, contemporary, literary tradition of mortuary verse writing; instead she challenges the religious beliefs of the day through the medium of the fly. In this sense, Dickinson seems to be using death to attack religion, expressing her doubts through oxymoronic language. Dickinson’s use of synecdoche and synaesthesia dehumanizes the person dying, making the poem typically surreal and contradictory. The bathos and black humour define this poem as one where Dickinson both ridicules and undermines the accepted perception of death, putting forth an alternative understanding of what it is to die, in her usual idiosyncratic way. Dickinson presents death as unsettling through her use of chiasmus and synaesthesia, conveying a sense of entrapment and confusion on the deathbed, rather than comfort and expectancy. ‘Room…storm…firm…Room’ chiastically encloses death at the level of the language. ‘Storm and firm’ suggests upheaval sandwiched between the boundaries of the room where the speaker is dying. This creates an impression of confused desperation, adding to the sensory experience. In another of her poems, ‘One need not be a Chamber’, Dickinson uses a chiasmus at the centre of the poem to do the same. This is reinforced by the use of synaesthesia: ‘With Blue – uncertain stumbling Buzz,/Between the light- and me-’ which depicts noise as colour, embroiling the reader in the shutdown of senses. Form and content mirror each other in this poem, and the regularity of trimeter tetrameter and stanza length show death to be inexorable; we know the last stanza is oncoming, and with it comes the inevitable progress towards death. In ‘Fly buzz’ Dickinson uses dashes to add to the feeling of incompleteness. It is only end-stopped ‘Between the heaves of storm’ to show the transition separating the dying person from everyone else in the room. In other poems this pattern is visible: in ‘Behind me dips eternity’, dashes are used to show the halting mood, yet in this poem, their relative regularity indicates the swiftness of the process. In ‘The Last night that She Lived’ there are very few dashes until the end, which suggests that she is not unsure about death until she alludes to the idea of afterlife. It is worth looking up ‘Because I could not stop for death’ , because her representation of Death as a total elimination of self, here, is very much opposed in the abstracted concepts of ‘immortality’ and ‘eternity’ in the parallel poem. It does nonetheless hold the same subversive critiques of religious afterlife, though. Its final stanza reads: ‘Since then – ’tis Centuries – and yet / Feels shorter than the Day / I first surmised the Horses’ Heads / Were toward Eternity –’ The vast tracts of unfulfilled time, hinted at here, convolute any idea of an afterlife.This typifies Dickinson’s subversive approach to death; she will see it as anything but the accepted process. Variety in her portrayals suggest that Dickinson herself does not know how to deal with Death as a theme. Dickinson uses bathos to ridicule the religious ritualising of death. The bathos of the fly’s appearance rather than the ‘King’ is blackly humorous and is reminiscent of ‘A certain slant of light’ when she subverts religion through her treatment of light (‘That oppresses, like the Heft, of Cathedral tunes’.) Synaesthesia is a technique used in both poems to express her confusing experiences. The use of oxymorons in both also illustrates the conflict between her own ideas and the accepted interpretations: ‘Heavenly hurt’ and ‘last onset’ could both be referencing some kind of apostasy she is undergoing. Even at the level of the language she expresses the paradox of life after death through oxymorons such as the ‘last onset’. To reinforce this, Dickinson explores death through the fly and his circular attempts to escape the room. The fly is trivial, which also suggests that Dickinson wants to depict death as a commonplace occurrence rather than sacrosanct experience. 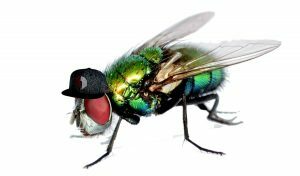 The fly is also a controversial point of comparison because of biblical translation of Beelzebub naming Satan alternatively as ‘Lord of the Flies’. This moves the poem from an alienating description of death as everyday to a huge critique of religion in general. Not only is Dickinson’s poem idiosyncratic in its approach to death, but it also anticipates Modernism. She uses synecdoche to defamiliarise the people around the deathbed: ‘Eyes’ are anonymous, alienating the dying person and suggesting a sinister objectification whereby the speaker, on their deathbed, is stripped of their humanity. In ‘Last night that she lived’ Dickinson also shows death to be dehumanizing ‘And drew the head erect-’ This exposes the facade of 19th century traditions where the corpse was made to look alive, suggesting that death completely removes all traces of former personhood. The use of the pronoun ‘it’ in both poems reiterates this. This anticipates Modernism, where death is shown as stripped as a stripped down process; Dickinson also emphasises the mechanics of death in this poem through her detailed description of the sensory shut down, through synaesthesia, conveying noise as colour to create an impression of sudden loss of control and the materiality of the death process. Dickinson presents the process of death as an alienating, sinister experience, slightly chaotic, just like in ‘Behind me dips eternity’ where she describes it as a ‘Maelstrom’. Her internal doubts about what death entails come to the fore, and become a moment of flux like the carriage ride in ‘Because I could not stop for death’. Her contradictory presentations of death as sudden, a journey and yet eternal all destabilise the reader, making for a thrilling and provoking poem.